FRAMINGHAM =The Keefe Regional Technical School Drama Club will stage Charlie and the Chocolate Factory in May. 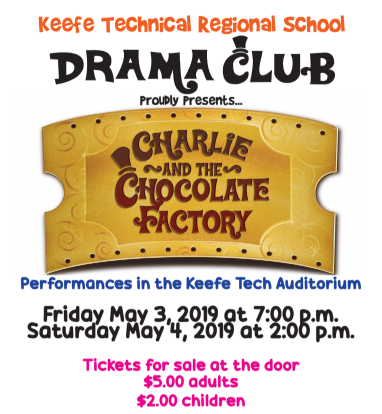 Showtimes for Charlie and the Chocolate Factory will be held in the Keefe Regional Technical School Auditorium, at 750 Winter Street in Framingham, on Friday, May 3 at 7p.m. and Saturday, May 4 at 2 p.m. The show runs 60-70 minutes and tickets will be on sale at the door for $5 for adults and $2 for children. Charlie and the Chocolate Factory is a children’s play by Richard George adapted from the fantasy book by Roald Dahl. 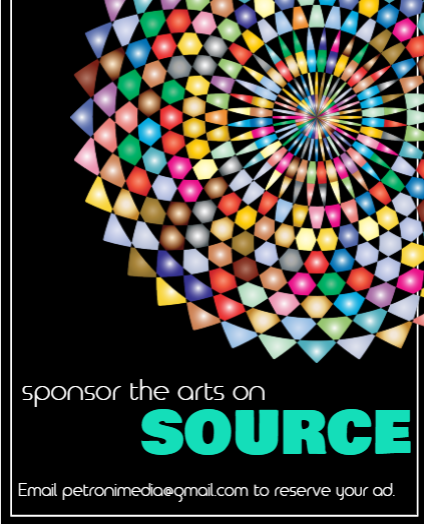 The play is being produced by special arrangement with TheDramatic Publishing Company of Woodstock, Illinois. Cast – Grade 12, Nicole Dunajski of Natick. Grade 10, Maiyah Rosal, Rafaela Araujo, Ariana Lourie, Stacy Santos, Praise Perce, all of Framingham; Tiana Resto of Ashland, and Paige Rezendes of Holliston. Grade 9, Abby Mello, Teddy Garcia, and Abner Perez, all of Framingham; and Zoe Rosen of Holliston. Crew – Grade 12, Kierra Blackwell of Framingham. Grade 11, Teresa Merino and Kat Couto-Nales, both from Framingham. Grade 10, Anthony Rosa of Natick, Allison Cerrato-Carrillo of Ashland, and Paolo Calvo of Framingham. Grade 9, Hannah Gilvarg of Framingham. students from the communities of Ashland, Framingham, Holliston, Hopkinton and Natick.